Well, this post is coming a bit late, considering how far into April we are right now. But better late than never, I still read a few books I'm anxious to talk about. In March I finally gave up on my library audio book app and started using Scribd, which is a paid subscription service a little bit like Netflix. I just barely finished up the free trial month, but since they restrict access to some titles during the free trial, I've decided to give it another month (as a fully paying customer) before making my final decision about whether or not this is the right app for me. I've been documenting my experience with Scribd a little bit over on my Instagram stories, so if you follow me there you'll get to hear much more about this soon (or check my archived stories to see what I've already posted, in case you're interested). Anyhoo, let's get on to the books I actually managed to listen to last month. It wasn't a great month, partly because of Spring Break (a whole week without my commute and constantly being with my kids really cut into listening time), and partly because I took on a couple chunksters that took some time to get through. But I'm determined that no pride in a numbers game should ever come between me and my love of good long books. 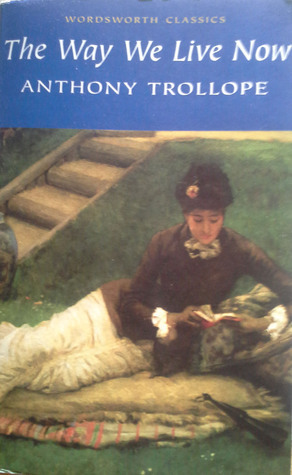 Ever since hearing a guest lecturer speak on Victorian marriage ideals last semester, I've been feeling a strong need to read some Anthony Trollope. I picked this one without doing too much research, and... I'm not sure it was the right place to begin. First off, I listened to it on LibriVox, amateur narrator at single speed (kill me now, this is what drove me over the edge to Scribd). Second, this think is beastly long, repetitive, and has some really, really dislikable characters. Almost 3/4ths of the way through I still wasn't sure who I was supposed to be rooting for, and what the best marriage options would be for the characters in the end. The major focus is actually a financial scandal, and the parts that discussed business and stocks and financial markets were just tedious. All that being said, I do not regret reading this one. It was fascinating for lots of different reasons, and probably something I'll never forget. I would recommend this one only to the committed reader of Victorian serial novels who has a true appreciation for lots of prose and is more interested in historical cultural commentary than a good story or romance. I read this for my local book club, and I liked it well enough. I can see how many, many other people could find this book extremely useful, especially those prone to negative self-talk or depressive tendencies. 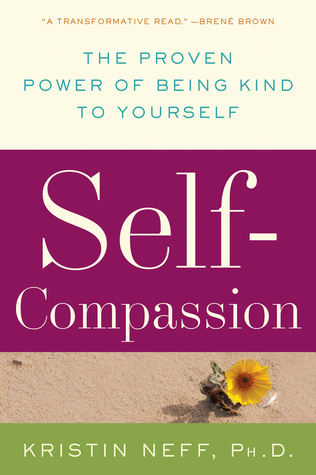 However, I took her little quiz online, and found I already score pretty high on her self-compassion index, meaning much of this book didn't feel all that useful or innovative to me. It still lead to some very interesting discussion at book club, and also, this woman's life story is really quite interesting, and it was really cool to see how her research (she's a professor) has helped her deal with some pretty serious life problems. I would very much recommend this book to anyone, especially anyone who struggles with a lot of negativity and self-criticism. For some random reason I'm unsure about, my husband checked the cd audio book version of this out from the library to listen to on his commute every day (he's never done this before, always listens to books on his phone, so I forget what inspired this). He began telling me all sorts of interesting facts and saying I really ought to read it, but since we couldn't both share the cds on our separate commutes, I found it on Scribd (and listened to it at double speed, thus finishing well before him). And guys! Sooooo interesting! If you like biographies, I highly recommend this one, it's fantastic. 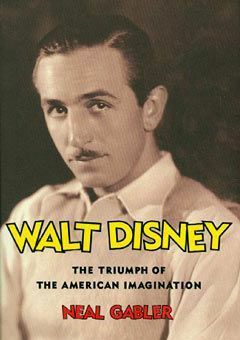 I really had no idea how Disney became such an institution, nor the history of animation, and it was just so fascinating. Now I really want to read a book about the rest of the Disney corporation, just to see how things went on after Disney's death (anyone know if that book exists?). The only downside is this one is also quite long, but it's still fantastic. I decided to give Trollope another chance to impress me, and since I'd already seen the Julian Fellowes adaptation of this one, and knew I'd like the story, I picked this one. And it was delightful! Despite knowing how it was going to end, I still found it a very enjoyable read with a very satisfying romance. Still lots of interesting commentary on the economics of marriage here, but really, really fun. This one felt a lot more funny, too. If you like Victorian classics with a good romance, this is a great one! (Also, the Julian Fellowes adaptation is available on Amazon Prime, and you should totally watch it if you haven't already, because while slightly different, it is equally delightful, I had to watch it again after finishing this book). 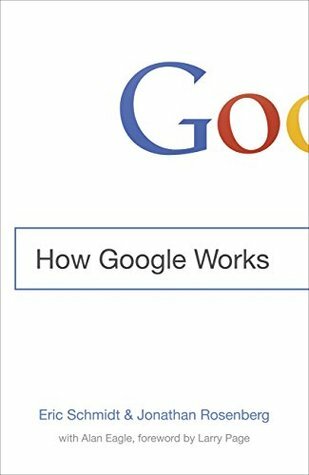 This book is a little dated (it came out in 2014, I think, and it's crazy how much has changed at Google even since then), but I still found it so interesting. I don't know why I like reading corporate management books so much, considering I've never worked for a business, and probably never will. I was not the target audience for this book (it targets people who are starting up or managing their own companies), but I still found this inside look at Google to be so interesting. I really, really, really like this company. Every semester when I talk about research to my students, I always go off on this long tangent about how Google has changed the nature of research, how the search engine idea revolutionized the internet (do you remember back to the days when you actually had to know and type in the full address of the website you wanted to visit? ), and how lucky we are that Google's mantra is to "do no evil," because that's what makes the internet as amazing as it is today. So, it's not much of a secret that I really love Google, and I loved getting a little behind the scenes look at how they work. It made me a little sad to realize I'm probably not cool enough or smart enough to ever work for Google, but also, working at Google would drive me crazy (open floor plans!!!). Anyway, I still recommend this one if you enjoy corporate management books as much as I do. Okay, and that wraps up March! Have you read any of these? And what do you think of them? Well, me finishing that first Trollope book was more about not having any other audio books lined up, and reading a summary online to figure out where this plot was headed, which actually helped me want to read it more (surprisingly). When you've got nothing else to do on your commute but listen, you tend to get through even tedious books. 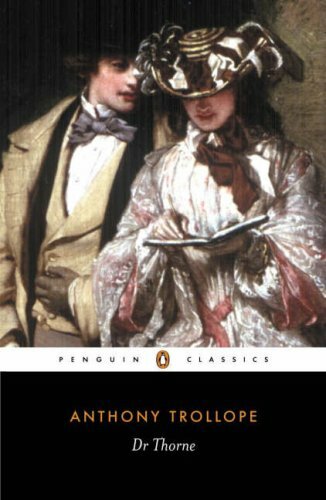 But yes, if you ever try Trollope, start with Dr. Thorne!